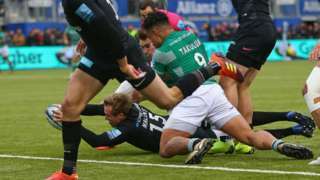 Saracens keep up pressure on leaders Exeter with a win against bottom-side Newcastle, who miss out on a bonus point. 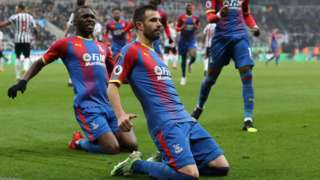 Luka Milivojevic scores from the spot to earn Crystal Palace victory over Newcastle and ease their relegation worries. 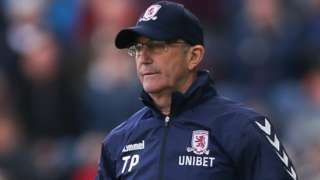 Swansea City comprehensively outplay Middlesbrough and consign them to a sixth successive defeat to increase the scrutiny on manager Tony Pulis. Our live updates here have finished for the week - thank you for joining us. 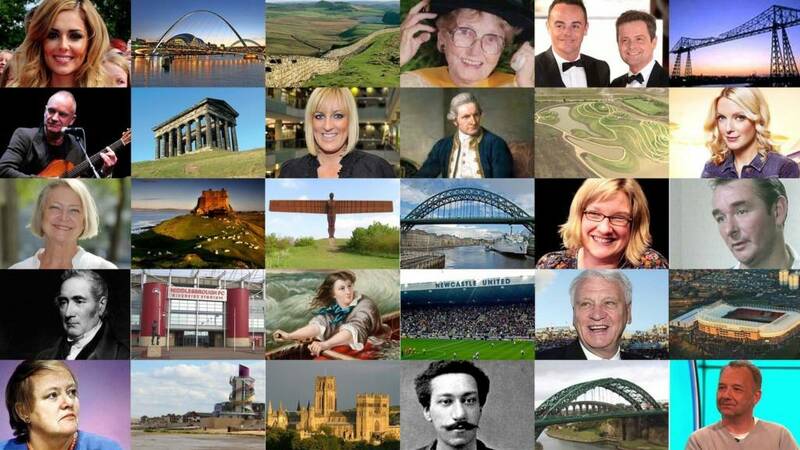 You can stay up to date online, on BBC Newcastle, BBC Tees and on Look North. We'll be back with more live updates from 08:00 on Monday. If you want to get in touch with any news or send us photos you can tweet us, contact us via our Facebook page, or email. 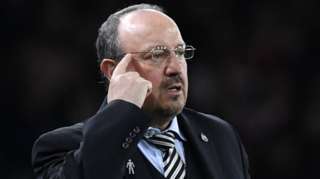 Newcastle manager Rafael Benitez says the "ball is in the court" of the club's chiefs regarding an agreement of a new contract. Derbyshire got to within three runs of a batting point, which earlier in the day hadn’t looked likely, when they lost two wickets in the first three balls of the match. But they recovered from 68-5 at lunch thanks to some spirited work from Harvey Hosein. However, with his last partner at the other end, Hosein was run out on 78, the victim of a great piece of fielding in the covers from Ben Raine. Hosein had put on 56 for the sixth wicket with Matt Critchley (24) and 50 for the seventh with Anuj Dal (17). Durham had 21 overs to bat and had a couple of scares with a big appeal for caught behind first ball from Ravi Rampaul against Gareth Harte. Alex Lees was also dropped on none in the slips in the sixth over off Tony Palladino’s bowling before Harte was caught off Reece for 14. 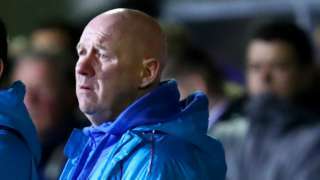 Gateshead's senior players and staff have now been paid their March wages, the National League club confirms. 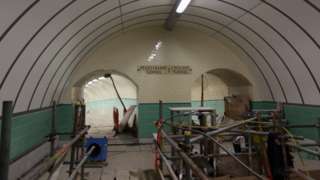 The tunnel was due to reopen in 2015 but has been beset by problems, the latest involving the lifts. A Newcastle woman is one of a number who have say their life has been ruined after receiving a vaginal mesh implant. Its use was halted across the UK last year amid safety concerns, but the health watchdog has now suggested the controvesrial procedure should be offered again on the NHS. The National Institute for Health and Care Excellence said the "limited evidence" meant "the true prevalence of long-term complications following surgery with mesh is unknown". However, Gillian Hedley, who had one fitted following a bowel prolapse, said the side-effects left her unable to work. Although it was eventually removed, she was left with a permanent stoma and faces more surgery to close the incision wound, still open two years after the initial operation. The problems caused by her mesh have had a profound and damaging effect on her mental health, she said. Regular specialist markets could be introduced in Chester-le-Street if a new operator can be found. The Tuesday, Friday and Saturday markets had been managed by a private company on Durham County Council's behalf, but the contract has now expired. No organisation has come forward interested in running it for three days so the authority is now seeking a more flexible alternative. This could mean operating it on a less regular basis, or bringing in a particular type of market such as a craft or farmer’s ones. Interested parties have until 26 April to submit their proposals. We understand how important it is to the town that the market continues so we are now asking operators what type of market they would be interested in running for us." 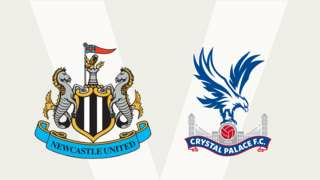 Newcastle United host Crystal Palace in the Premier League - watch Final Score, listen to BBC Radio 5 Live and follow live text commentary. Plans to build seven new homes on the site of a former pub on the way into Amble in Northumberland have been put in place. Hindmarsh Homes wants to build the "high-quality and inherently sustainable" terraced row of properties on the current site of Artique, formerly the Marina Arms, on the A1068. Each four-bedroom house would have a three-storey main building facing on to the A1068 with a single-storey section to the rear connecting to an attached garage. ‘From the outset of the scheme, it has been imperative that the privacy enjoyed by existing properties surrounding the development is not adversely affected by proposed development. ‘As a result, development along the north-western part of the site has been orientated with front aspect over the public highway, taking advantage of views of Warkworth Castle and the countryside." 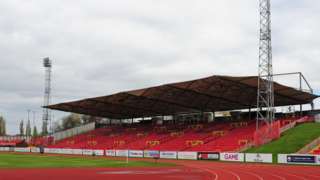 The building currently on the site is to be demolished. The bid has so far sparked one objection from a neighbour in Riverside Park. In a world which is increasingly moving online, the old-fashioned billboard seems to be having a moment. Brexit campaigners on both sides have hired billboards across the UK, while activists for other causes - from promoting the Saudi crown prince to veganism - have got in on the act. This is despite internet advertising booming: in 2017, the £11.5bn online market overtook all other forms, a report for the government found. So why are billboards still popular? Last summer, vegan Tony Galuidi (pictured), from Middlesbrough, spent £2,400 on four billboards near the town's traffic hotspots, to urge people to consider what they eat. For Mr Galuidi, the publicity was much of the attraction. "I was wanting the press to see all of it. As a consequence, I have been on TV twice, written in the i newspaper and on the radio. It's been brilliant for promoting the message." The money was "absolutely" worth it, he said. Redcar and Cleveland Council has cut 30 jobs from a council childcare service in a bid to save £1.2m. The authority's Early Help scheme has been under review for the past three months to plug a seven-figure hole in its budget for this year. It's been revealed 30 staff took voluntary redundancy because of this review and 13 of those took early retirement. The Early Help team offers support with breastfeeding, mental health issues and child protection – as well as offering guidance to parents and support to vulnerable youngsters. A Teesside tax office is to close next year, with the potential loss of 400 jobs. George Stephenson House in Thornaby is set to close in September 2020, with staff being moved to Longbenton, on Tyneside. A HMRC spokesperson told BBC Tees they will also offer affected staff the opportunity to switch to offices Peterlee or Washington. Those unable to move will be offered help to find alternative job options. 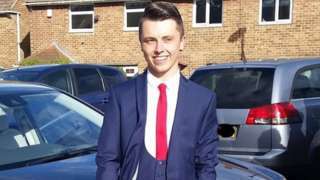 Leighton Barrass pleads not guilty to murdering Connor Brown, 18, who was found outside a pub in Sunderland. More than 30 people have been arrested and drugs, cash and weapons seized during a series of raids across Gateshead. Operation Salvator - an investigation into the supply of cocaine and heroin - was launched after the number of drug deaths in the area tripled last year. During the raids 13 cars were also seized, including a Subaru Impreza, a Nissan Juke and a Mercedes C-Class. Thirty men and four women were arrested on suspicion of being concerned in the supply of Class A drugs and later released while investigations continue. Det Supt Peter Bent, of Northumbria Police said: “We have sent a very strong message to all drug dealers who prey on vulnerable users. 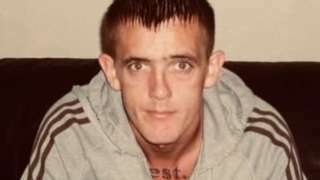 Peter Gilling died an hour after being found with stab wounds outside flats in Billingham. This was the only ground where there was a toss today but Derbyshire, having chosen to bat, were soon regretting it. Chris Rushworth finished last season with his 400th championship wicket for Durham and 401 came with the first ball of the match - the first wicket in the country too! Luis Reece edged to Michael Richardson at second slip before Wayne Madsen lost his off stump to the third ball of the morning to leave Derbyshire 0-2. When Ben Raine saw off Tom Lace for eight with his third ball the hosts were struggling on 27-3 - and Billy Godleman has now gone for 19, also falling to Raine. The North Shields singer's debut album Hypersonic Missiles will be coming out in August this year.